Hannah Wallace of the Oregon Business Magazine talks with Chef David Machado and others about the Portland dining scene and why everyone you know is eating out. Read what Chef Machado has to say below. “The Portland dining public is way more sophisticated today than it was 25 years ago,” observes longtime Portland chef David Machado, whose former restaurants Lauro Kitchen and Vindalho were the first to colonize Southeast Division (in 2003 and 2005, respectively). 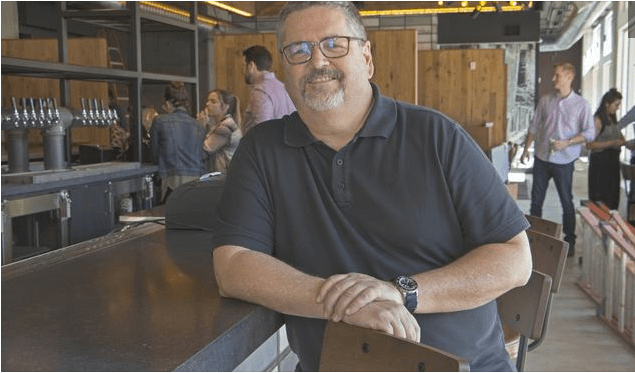 Today, at his two restaurants Nel Centro and Altabira City Tavern, he sees chiefly two main demographics: boomers and millennials. “Those boomers have traveled. They’ve had that pasta that you serve on the menu — they’ve had it in Italy,” Machado notes. Many of these boomers have also taken cooking classes and watch more than one cooking show, he says. Portland millennials, too, are well traveled; they’ve been to all the latest restaurants in New York and San Francisco, and they want to stay on top of the latest spots in their hometown, too. “They are college educated, have a good job, are married — or not. But they’re experimenting with food, ordering hand made cocktails and wines.” Add these two groups together and you get a group of curious, adventurous eaters who want to eat out all the time. “Everyone is just so much damn smarter about food,” says Machado. On-demand and sharing economy trends are also helping fuel the frenzy; today, when people want food, they want it now. Restaurants — co-eating venues, as collaborative economists might say — fit the bill. There’s no authoritative statistic on which demographics eat out the most in Portland. But Zach Hull, vice president of business development at Boulevard — the software company that designed Chew, Kurt Huffman’s new restaurant loyalty app — says almost 50% of Chew’s 6,000 active users are between the ages of 25 and 35 (25% are in the 35 to 45 age group). It doesn’t hurt that the price of eating out at a nice restaurant (or food cart) is still relatively affordable in Portland, when compared to other major American cities. “The price that you pay for a meal, an entree in a restaurant today, is the same or less than you did 10 or so years ago,” says Machado. In Portland, he adds, there are certain benchmarks you can’t exceed. You can read the entire Oregon Business Magazine article here. 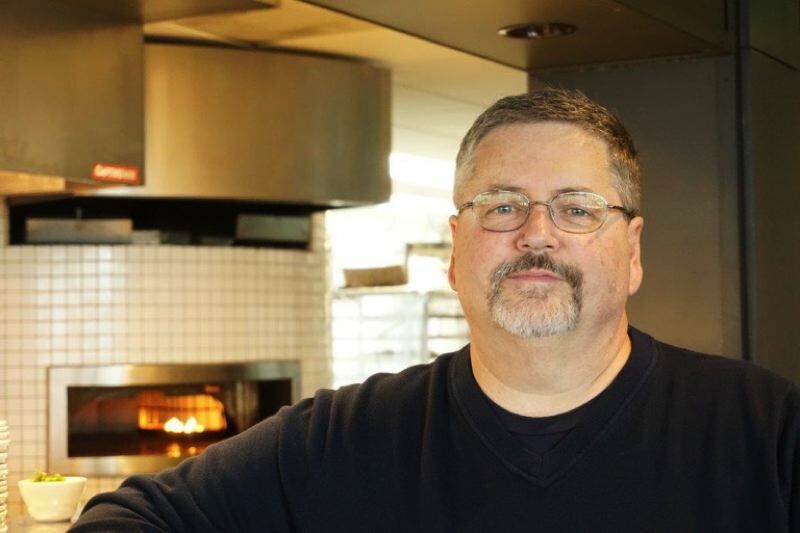 The Portland food pro on his new Hotel Eastlund eateries, beer, and why hotels love chefs. 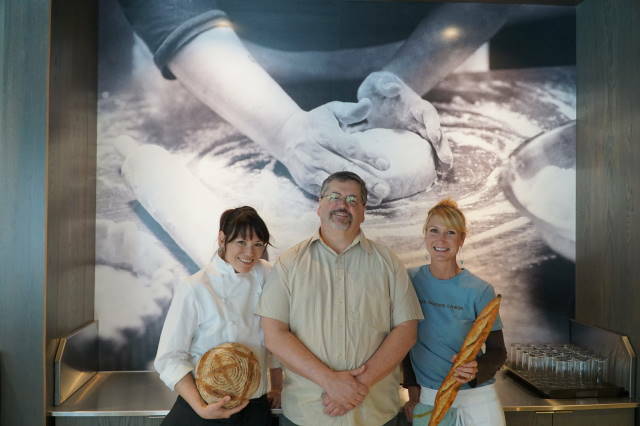 Image: Whitney Price — Altabira and Citizen Baker owner David Machado with Cara Powell, the executive chef of both restaurants, and Citizen pastry chef Natalie Harkness. For three decades now, David Machado has been building and running large-scale food operations that strike a balance between serving as a home away from home for travelers and a destination for locals. He’s best known as the man behind Hotel Modera’s successful pre-theater haunt Nel Centro; others trade memories of drinks at his Southpark wine bar or Italian grub at Pazzo, the venerable downtown fine diner he built and ran for Hotel Vintage Plaza in the 1990s (just one of six Kimpton properties he launched). And longtimers still get positively weepy reminiscing over the chef’s independent project, Lauro Mediterranean Kitchen, the neighborhood bistro that made SE Division Street a destination before Pok Pok charcoal-fired its first game hen. His latest salvo is the sky-high beer-centric restaurant Altabira City Tavern and smaller Citizen Baker cafe, a double-barreled blast for the Modera team’s new Hotel Eastlund, located right across the street the Oregon Convention Center. The two eateries may help transform the rapidly changing Lloyd District from a fast food wasteland to a chic dining go-to. On the eve of Altabira’s debut, we asked the food insider about beer, bread, and why a chef can be a hotel’s best friend. 1. YOU’VE BEEN IN THE HOTEL FOOD GAME FOR YEARS. WHAT DO ALTABIRA AND CITIZEN BAKER BRING TO THE TABLE? With Altabira, I wanted to move out of the euro-centric, wine-based Mediterranean thing I’ve been doing for years. Every time there’s beer, for the most part, it’s in a brewpub or sports bar setting—very burly or clubby. What about a real restaurant that does dinner and a nice job with the menu, creative and fresh, but that aligns with beer? We’re working with dishes from some traditional beer cultures—England, Belgium, Germany—you can’t not do that. Pork schnitzel, a rabbit pot pie, smoked brisket…homey stuff that goes with beer and has connection with beer culture. Also, charcuterie—pate and rilletes, duck liver mousse. I’ve had to caution the kitchen about sugar and salt. It’s easy to start salting and curing and brining everything and soon enough everything becomes a ham! I’m trying to strike a balance. 2. WHAT ABOUT CITIZEN BAKER? I hadn’t opened a cafe since Pazzoria in 1994 or ’95. And I felt that if we were gonna do a café, we might as well do everything from the ground up—baguette, levain, beer bread, focaccia… It’s a tight program, we’re doing five or six things really well and we’ll leave it at that. Our pastry chef Natalie Harkness’ work is incredible—the apple strudel; her strawberry rhubarb hand pie. It’s tough to kick off an artisan baking program, but we got the starters right and figured the ovens out already. A bakery is very much a live operation; it’s a whole different world. 3. WHAT’S THE DIFFERENCE BETWEEN OPENING A NEIGHBORHOOD AND A HOTEL RESTAURANT? They are completely different experiences—the lifestyle, who comes in and eats there. At Lauro, we came in as fundamentalists: we cooked what we wanted, said hi to everybody, and then went home. When you get in these bigger situations, you have to think of travelers, business people, people going to shows and sporting events…it’s a different model. When the Modera owners came to me in 2008 to open Nel Centro, they had some criteria: they wanted a local chef that could come in and operate as a draw from the community. They wanted more than a service for guests, they wanted to create a destination for the city. That’s becoming more and more common. It’s often said that a hotel is a very profitable capitalist model except for food and beverage. But we’re in a cycle where savvy hoteliers are looking for independents [chef-operators] to lure in because a hotel is enhanced by the chef. That’s a big shift. 4. WHAT DO YOU THINK OF YOUR NEW NEIGHBORHOOD? Hotel Eastlund is in a neighborhood that’s never had any fresh or real food—just formulaic chains. Having to eat here for the last two months while overseeing restaurant construction has been brutal—it’s just Red Robin and Denny’s; remnants from the Portland’s old Highway 99 of 30 years ago. But now, the whole neighborhood is in this massive state of flux. There was no master plan, it just happened that we got in right before all this major development. I hope it all works out; that we did the right thing. That saying is true: opening a restaurant is like birthing a baby, you say you’ll never do it again. And then you do. There was music and dancing, food and drinks. There were sunny, sweeping views of downtown Portland and the West Hills. And there were close to a thousand people enjoying it all. The Hotel Eastlund, a former Red Lion hotel in the Lloyd District that underwent a $15 million remodel, officially opened its new doors last Wednesday evening with a festive grand opening party. The event included a ceremonial ribbon cutting, appetizers and drinks from chef David Machado, who has two restaurants in the new hotel, and musical entertainment from a few different acts, including U.K. soul singer Andy Abraham. The reborn hotel is a project of Grand Ventures Hotel LLC, a subsidiary of Seattle’s Posh Ventures. The developer was also behind the Hotel Modera, a once-rundown hotel at Southwest Clay Street reborn as a modern boutique hotel, much as the Hotel Eastlund has been. Click through the gallery for a look at the Hotel Eastlund’s grand opening soiree. The beer-centric rooftop restaurant features 16 all-Oregon-brewed beer taps and a 103-seat patio with sweeping views of downtown and the West Hills. Altabira, the new beer-forward restaurant perched atop the Lloyd District’s newly christened Hotel Eastlund (née, the old Red Lion Hotel) officially opens for business today. Today’s opening follows the opening of Citizen Baker, Nel Centro Chef David Machado’s artisan bakery-breakfast-and-lunch spot, which opened on the Eastlund’s ground floor on the first of the month. Altabira’s design takes advantage of of a couple of natural amenities: a view of downtown and the West Hills and, via plenty of floor-to-ceiling windows, all the natural light a restaurateur could hope for. If you include the bar, the dining room seats nearly 100 guests—a number that more than doubles if you consider Altabira’s 103-seat open-air rooftop patio, complete with fire pits for when the weather turns cold. 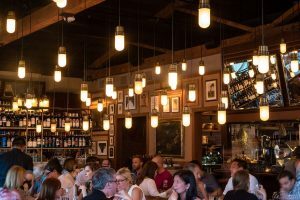 As fas as drinks and eats go, expect 16 taps, all of which are dedicated to Oregon beers, as well as dishes like beef tartare, braised rabbit and vegetable pie, pork cutlets with potato-arugula salads and sides like onion rings served with green goddess dressing. Read the article and view more images on pdxEater. Restauranteur David Machado will operate two eateries at the Hotel Eastlund. 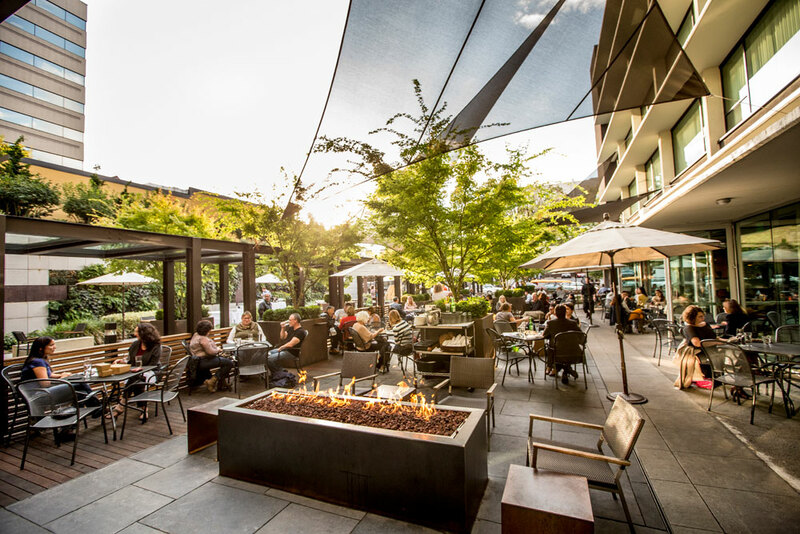 When Seattle-based Grand Ventures Hotel bought the Lloyd District’s Red Lion Hotel in 2013 and launched a major renovation, it was one of a few scattered examples of private reinvestment in the eastside district. As the hotel reopens Monday as the Hotel Eastlund, fresh from a $15 million renovation that took the building down to its bones, it’s in a district that could have thousands of new residents within a few years. Meanwhile, the Lloyd Center mall is in the middle of its own $50 million renovation. And Metro is well on its way to landing a large hotel near its Oregon Convention Center, which the regional government says will help drum up new business both for the convention center and nearby hotels. Grand Ventures, hoping to duplicate its success in turning around the downtown Hotel Modera, bought the Lloyd District hotel in 2013 for $12.5 million. As at the downtown hotel, previously a Days Inn, they aimed to create a destination not only for travelers, but also nearby workers and residents. The Lloyd District hotel opened as the Cosmopolitan Motor Hotel which, as its name suggests, was built for guests coming and going by car. For people walking by or traveling by transit, it might as well have been a fortress. So a design by Holst Architecture of Portland aimed to turn the hotel inside-out, adding pedestrian access from all sides. Much of the lobby is space once occupied by an auto ramp. Space formerly used for guests-only breakfast will now be Citizen Baker, Machado’s bakery-cafe and wine bar that will be open to the public that will also cater meetings at the hotel and provide room service. The hotel’s upper floors were largely gutted as well, necessitated by the presence of mold, asbestos and lead paint, Grand Ventures partner Alan Battersby said. 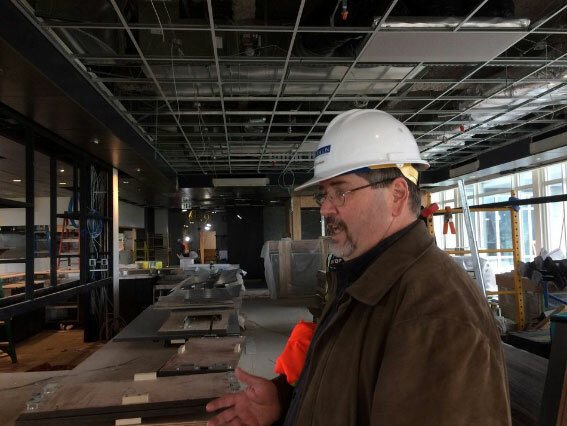 The top floor will house a 5,300-square-foot ballroom, small meeting rooms and Machado’s Altabira City Tavern, which replaces the Red Lion’s Windows Skyroom and Lounge. That restaurant and Citizen Baker are expected to open later in June. Read the article on OregonLive. Be sure and look at the slideshow! 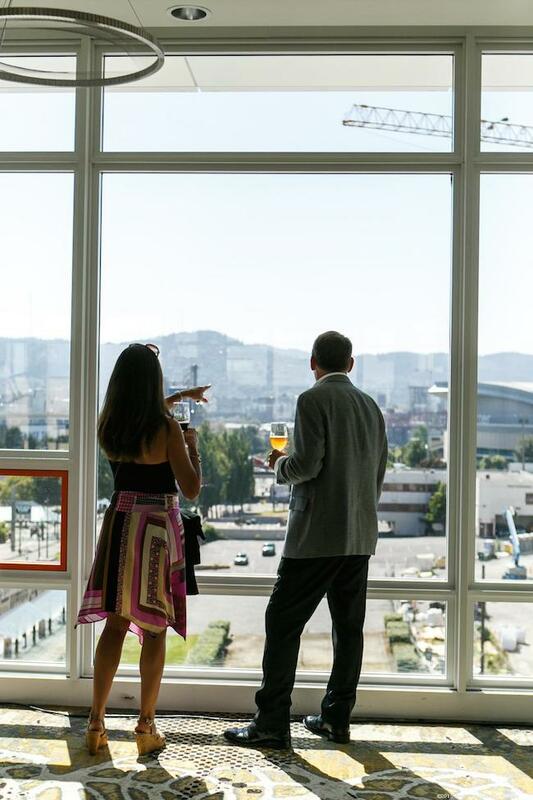 The view featured here is from inside the Eastlund’s (currently under construction) Altabira City Tavern, helmed by acclaimed local chef David Machado. Photo by Byron Beck. In May of 2015 Hotel Eastlund will be opening their doors for the first time. Here’s a look at the space in progress. The view featured here is from inside the Altabira City Tavern, helmed by acclaimed local chef David Machado. Portland’s newest boutique hotel will feature rooftop dining, floor-to-ceiling windows, a spacious work-friendly lobby, and a beautiful view of the Portland skyline. The first contemporary, luxury boutique hotel of its kind on Portland’s Eastside, it is developed by Grand Ventures Eastlund Hotel, LLC, who also developed the renowned Hotel Modera in Portland, Ore., as well as Hotel Andra and Hotel Deca in Seattle. Hotel Eastlund is adjacent to the Oregon Convention Center, Moda Center, Veterans Memorial Coliseum and the Central Eastside’s creative hub. 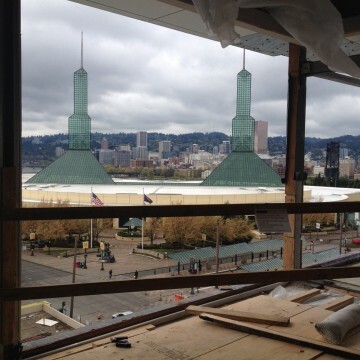 The hotel will offer easy access to both of the cities rail lines — the Portland streetcar and MAX Light rail. Hotel Eastlund, with its mid-century inspired design, features 168 rooms and suites, a flexible ballroom with floor-to-ceiling windows, two executive boardrooms and two private dining rooms overlooking downtown Portland. The downtown skyline comes to life with the views from these outstanding venues. The rooftop restaurant and bar, Altabira City Tavern by celebrated chef David Machado, offers American cuisine with a beer-centric menu and Citizen Baker, adjacent to the lobby, is both a casual daytime café and evening wine bar. Altabira City Tavern offers regional American cuisine focused on updated classic dishes with 16 taps of local craft beers, select Northwest wines and locally distilled spirits. 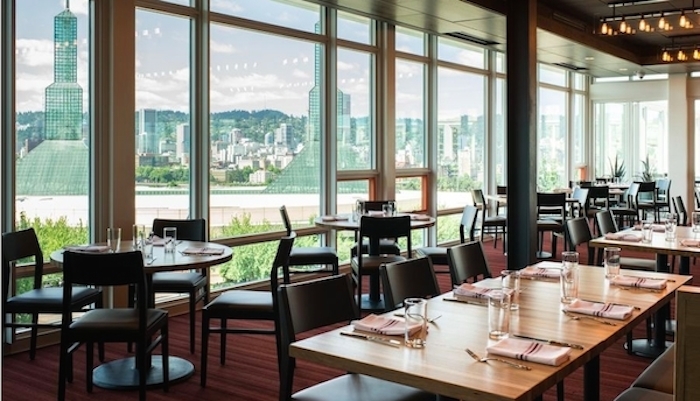 The Tavern is open for lunch and dinner in a modern setting with large floor-to-ceiling windows with sweeping views of Portland’s downtown skyline and inner eastside. The dining room seats 60, the indoor bar area seats 76 and the expansive outdoor rooftop patio – with windbreaks, heaters and three fire pits with lounge seating — accommodates 103. Citizen Baker is a locally owned, urban bakery/café located adjacent to the hotel’s mid-century modern lobby. The artisan bakery and gourmet coffee bar serves freshly baked artisan breads, pastries, soups, fresh salads and sandwiches as well as single origin coffee from Ristretto Roasters. During happy hour, the bakery transforms into a cozy and casual wine bar with local wine and beer on tap. Hotel Eastlund is located, 1021 NE Grand Ave, Portland, Oregon 97232. Read the article on GoLocalPDX.